The fact that these stereotypes are so inadvertent proves how deeply embedded they are in U.S. storytelling. Explorers from an advanced, civilized culture travel to a dark, primitive outpost. There they find savage inhabitants, who they believe they can control. But soon the darkness turns on them, killing or corrupting those who dared confront it. This narrative — which presents the people “over there” as some combination of monstrous, dangerous and seductive — is a staple of colonial storytelling. It's the general plot of Joseph Conrad's "Heart of Darkness," of "King Kong," and of the first installation of the "Rambo" franchise. It's also, somewhat unexpectedly, the basic storyline of Netflix's "Stranger Things," the second season of which was released on October 27. "Stranger Things" isn't an adventure story; it's a hybrid of fantasy, science fiction and horror. As such, it isn't trying to glorify or critique or even talk about colonialism. It is certainly not trying to perpetuate colonial stereotypes. Nonetheless, the imperial subtext pops up periodically during the series, much like the second season's shadow creature pushes itself into our world. The fact that these stereotypes are so inadvertent simply proves how deeply embedded they are in U.S. storytelling. 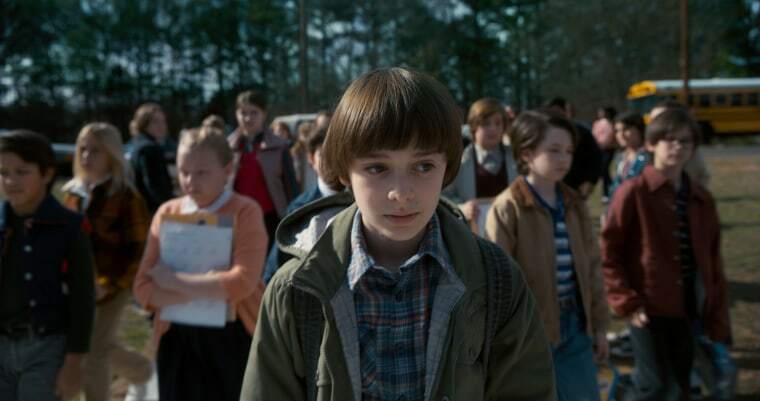 In both of its seasons, "Stranger Things" centers around the danger created when military personnel at a base in Hawkins, Indiana open an inter-dimensional gate into a dark, twilit shadow realm called the Upside Down. The sole inhabitant of the Upside Down, in the first season, is a humanoid monster dubbed the Demogorgon who feeds on flesh. It is animalistic, violent, and hungry. The Demogorgon, in short, could be a frightening “native” in a Tarzan serial. Jungles have long been used to evoke uncivilized, creeping barbarism, whether in Africa in the late 19th century or in Southeast Asia in the mid-20th. In "Stranger Things," the military makes short expeditions into the Upside Down to burn back the untamed foliage — a detail that seems especially telling given the series' occasional references to Vietnam. The Cold War itself becomes an excuse for invading and controlling the Upside Down, just as it has historically been used as an excuse for invading and controlling other nations. In the television series, scientists worry that if word of the Upside Down gets out, the Russians will try to use it as a weapon. Another staple of colonial narratives is the terrifying fear that someone will do to us what we did to them. The heroes in the second season of "Stranger Things" eventually realize that they're basically reliving "War of the Worlds" — which is to say, they're reliving colonial history from the perspective of the victims. The Upside Down is the home of something the heroes call the Mind Flayer — a hugely powerful entity which wants "to conquer us basically," Dustin (played by Gaten Matarazzo) explains. "It views other races like us as inferior to itself. It wants to spread and take over other dimensions. We are talking about the destruction of our world as we know it." This explanation of the Mind Flayer’s motives, however, neatly erases the fact that it was humans who went into the Upside Down first, looking for power and glory. We never actually hear from the Mind Flayer itself; we don't know what it wants. The humans simply project human motivations onto it, without ever quite acknowledging how human those motivations are. This moral shell game with colonized and colonizer is quite typical of reverse colonial narratives. When (mostly) white heroes become the victims, all sorts of violence is justified in order drive out the invader. Conquer the Mind Flayer or be conquered. In an encounter between two cultures, colonialism is portrayed as the only option. Again, "Stranger Things" isn't designed to be a commentary on colonialism. It's intended to be a nostalgic tribute to beloved science-fiction past. This nostalgia, though, is also why it borrows from "War of the Worlds" — the invasion narrative is one of the most trusty and familiar in all of science-fiction ("Independence Day," "The Avengers," and "Life" are just a few recent examples). Similarly, the Demogorgon is inspired in part by Stephen King and Gary Gygax, creator of the role-playing game "Dungeons and Dragons." Those writers were in turn inspired by H.P. Lovecraft—a notoriously racist horror writer, who loved to conflate extra-dimensional horror with racial miscegenation and degeneration. "Stranger Things" doesn't love colonialism; it loves pulp. But pulp, from Wells to Burroughs to Lovecraft to King, has marinated in colonialism for decades, if not longer. The nostalgia in "Stranger Things" is a nostalgia for certain beloved stories, in which the outer limits of our imagination are inhabited by primitive, nightmarish monsters that need to be exterminated. Almost despite itself, "Stranger Things" reproduces colonial logic: In the year 2017 we still need to invade, conquer and destroy them, before they invade, conquer, and destroy us.